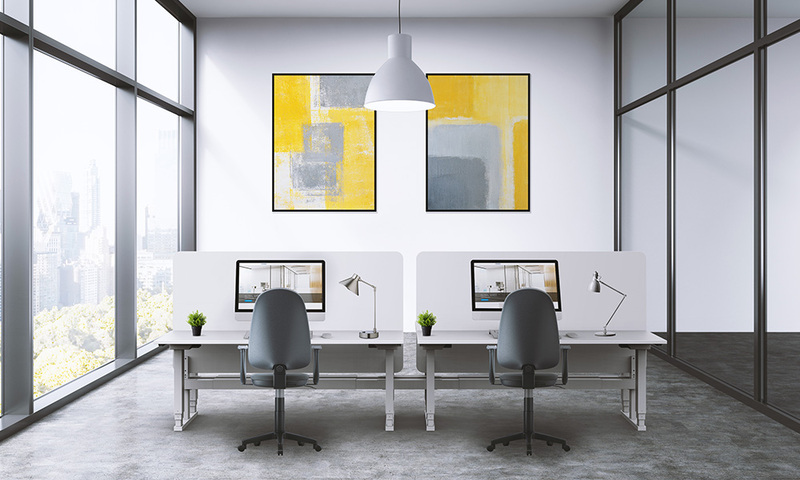 Eon by Elevar is the silent achiever of the workplace. 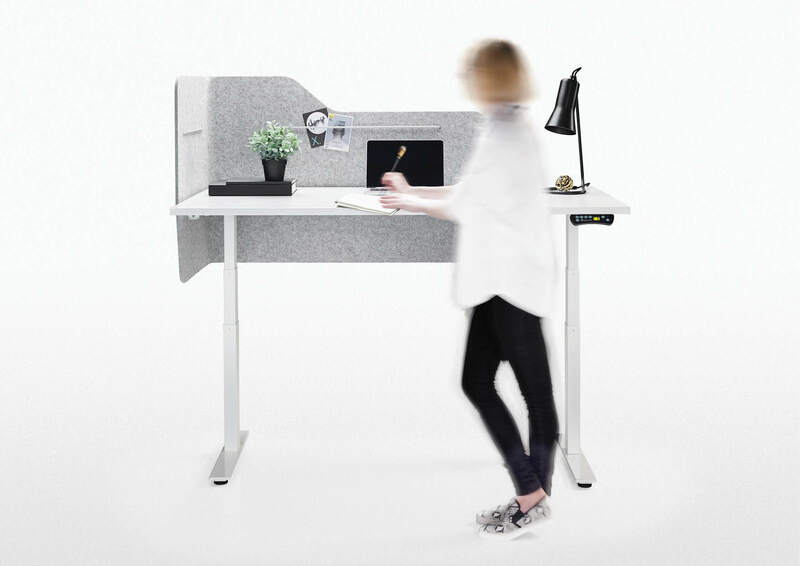 This is the new Elevar back to back Workstation System incorporates the existing legs of the Elevar range with the ability to upgrade to a different set in the future. Select from Fixed, Manual Crank, Two-Stage Electric, or Three-Stage Electric leg sets to suit any layout or budget. 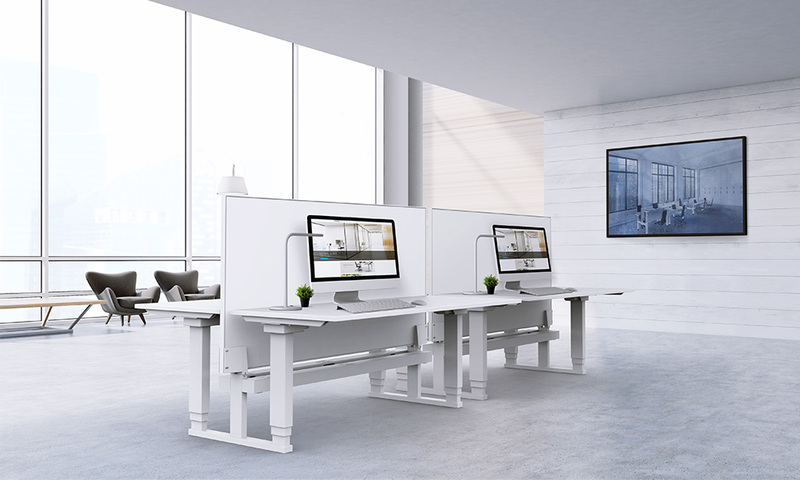 Every component on the new back to back is adjustable, from the telescopic cable tray to the adjustable screen brackets to suit almost all screen types and sizes. 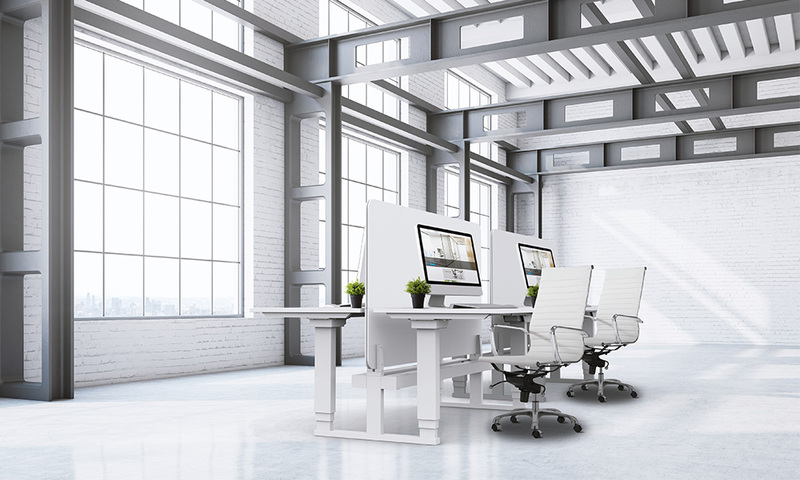 Productivity and wellness are equally met with the sophistication of a fixed and 3 height-adjustable modules. Select from Fixed, Manual Crank, Two-Stage Electric, or Three-Stage Electric leg sets. Frame available in black, white. Eleven configurations available - see downloads for details. 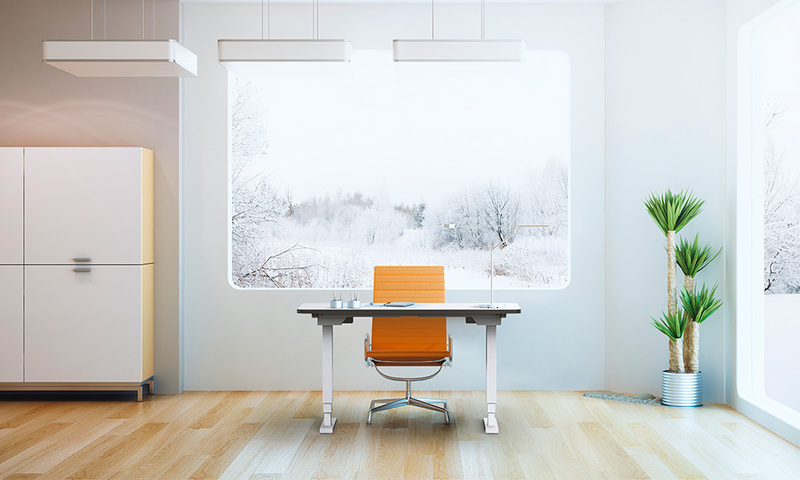 Screen Options: Acoustic / Solid Core or Extruded Aluminium Screens from 20mm to 60mm thick. Top mounted screen option available. Height range Incl 25mm Top: 650mm-1300mm – 3 Stage / 700mm-1200mm – 2 Stage / 660mm-1210mm Fast Crank / 720mm Fixed Height. Segregated, fully telescopic cable tray with cover. Joiners connect adjacent cable trays for seamless and tidy cable management. 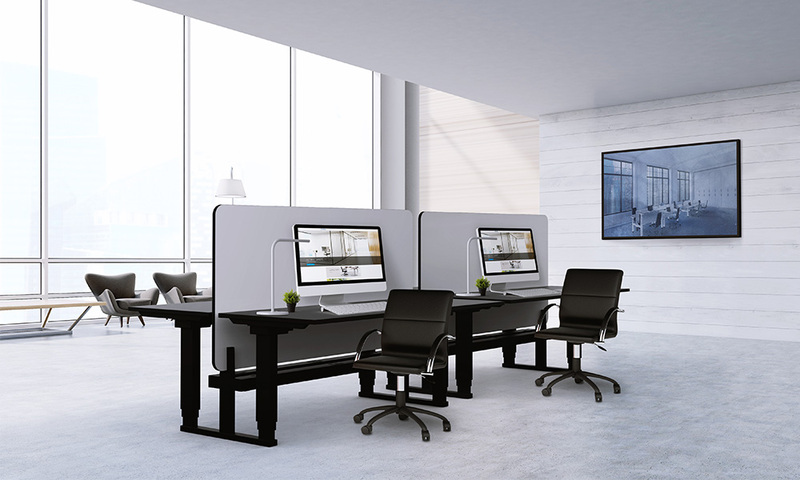 Configurations are Back to back, Side by side, Cluster, Staggered and Freestanding. Impact safety - Automatic Collision Control with electric. Overheat Safety - Automatic overheat Cut-off Switch with electric.